In January, the Government accepted the Future Forum’s recommendation for a review of the balance between protecting patient information and its sharing, to improve patient care. Dame Fiona Caldicott has agreed to lead this review. Dame Fiona is known across the NHS as the originator of ‘Caldicott Guardians’, the individuals responsible in every NHS and local authority organisation for making decisions about sharing identifiable information. This requires balancing the public interest of protecting confidential information with the public interest for sharing the information. She will be calling on an expert panel made up of clinical, social care, research and other professionals, as well as patients and service users. The panel will determine the detailed scope and priorities for the review. The review will be independent of Government and will report to the Secretary of State. 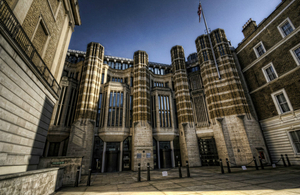 The Department of Health expects to respond to the panel’s recommendations when the review publishes during 2012. “The Government should commission a review of the current information governance rules and of their application, to report during 2012. The aim of the review should be to ensure that there is an appropriate balance between the protection of patient information and the use and sharing of information to improve patient care”. 2. Dame Fiona Caldicott, DBE, FRCPsych, FRCP, FRCGP, FMedSci, is a psychiatrist and psychotherapist and is currently Chairman of the Oxford University Hospitals NHS Trust. She was previously Principal of Somerville College, Oxford, and also formerly the Pro -Vice-Chancellor, Personnel and Equal Opportunities, of the University of Oxford. She was President of the Royal College of Psychiatrists from 1993-96 and is a past President of the British Association for Counselling and Psychotherapy. Dame Fiona chaired the original working group, which led to the publication of the Caldicott Report in 1997.